From a precocious, amusing whiz-kid, to a Jewish boy living in Nazi Germany during World War II, actor on the rise August Maturo has quickly become one of the most-watched talents in young Hollywood today. From comedy to drama, television series to indie and studio films, the characters Maturo has brought to life have proven he can do it all, and he isn't slowing down anytime soon. Maturo can next be seen appearing in the highly anticipated horror film "The Nun" (Warner Bros) set for worldwide release on September 7, 2018. 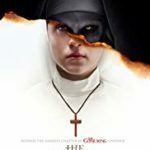 "The Nun" tells the story of a priest with a haunted past and a novitiate on the threshold of her final vows as they are sent by the Vatican to investigate the death of a young nun in Romania and confront a malevolent force in the form of a demonic nun. Maturo shines on screen as Daniel, opposite Demián Bichir, Taissa Farmiga, and Bonnie Aarons. Next, Maturo can be seen starring as Joshua in the upcoming independent feature "Shepherd: The Story of a Jewish Dog." Based on the bestselling Israeli novel "The Jewish Dog" by Asher Kravitz and produced by Howard Rosenman ("Call Me By Your Name"), the story follows Kaleb, a beloved German Shepherd, who is separated from his original master [Maturo], and his Jewish family when the Nuremberg Laws are enacted in World War II Berlin. Kaleb is then adopted by an SS Officer, who trains him to attack and round up Jews at a concentration camp. When Maturo arrives as a prisoner, the dog rediscovers his unwavering loyalty to him, and the two work together to escape the camp and ultimately, make a safe passage to Israel. The film is slated to hit the festival circuit in early 2019. Maturo may be best known nationally and internationally for his starring role on the hit Disney Channel Original Series "Girl Meets World." He was a scene-stealer as 'Auggie,' the precocious son of Cory [Ben Savage] and Topanga [Danielle Fishel] Matthews. "Girl Meets World" was an instant hit and premiered to 5.2 million viewers. The show was nominated for three Emmy Awards including one for "Outstanding Children's Program" as well as three Teen Choice Award nominations, and a Nickelodeon Kids Choice Award. Additional credits for Maturo include: "Teachers," "The Odd Couple," "Weeds," "Dads," "Bones," "Raising Hope," "See Dad Run," "Suburgatory," and "How I Met Your Mother." Born in Ventura, California, Maturo began acting professionally at the age of four after appearing in a church play. He loved being on stage and bringing stories to life, so his parents decided to take him to a handful of film and TV auditions, testing the waters in the entertainment world. Maturo instantly captivated casting directors and producers and began landing back to back projects. When not in front of the camera Maturo loves school (he learned to read and write at the age of two) and his favorite subjects are math, geography, and science. In his spare time he plays the piano, loves singing and dancing, and playing with his younger brother Ocean (with whom he shares a birthday). A cause that is important to Maturo is spreading awareness and promoting the importance of creating an action plan for children and adults who are affected by life-threatening food allergies, something that has challenged Maturo and his family since he was three years old. Maturo currently lives in the LA area with his mom, dad, and younger brother Ocean.